We’ve got a week left in the UK and we’ve decided to save the best (or the worst, depending on your perspective) ‘til last! We’re spending this last week in London, seeing and experiencing as much as we can of this busy, bustling, amazing city. 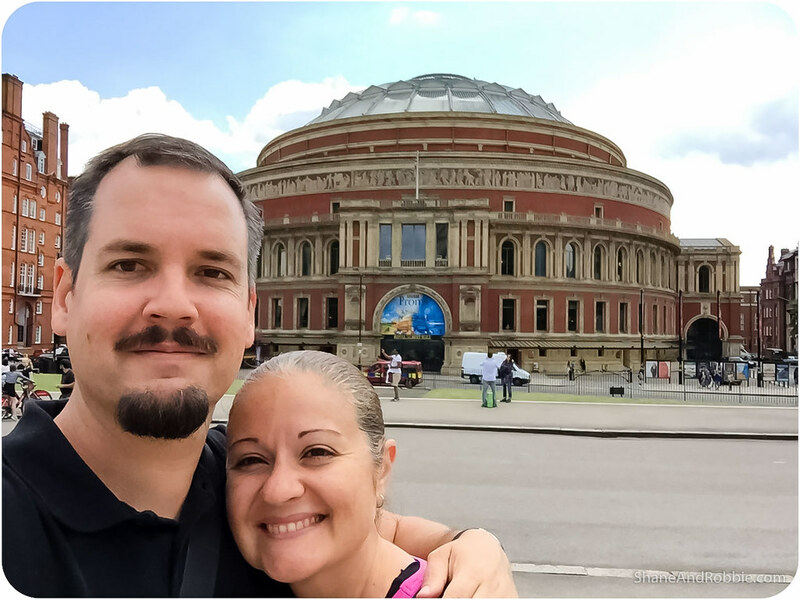 We arrived into town by train from Moreton-in-Marsh and spent our afternoon exploring some of the sights closest to our accommodation, including the ‘burbs of Bayswater, Kensington and Notting Hill. We’ve only been here half a day and already we’re feeling a little overwhelmed, mesmerised, and just a little enchanted by this metropolis. There’s just so much to see and do, and so much going on all the time… One week just doesn’t seem like it’ll be enough! After the last few days roaming around the Cotswolds, it was a bit of a shock getting off the train at London’s Paddington station (one of half a dozen large train stations in London). The people! So many people*! We made it out of the train station and to our accommodation in one piece, however, and were soon settled into our little studio apartment and ready to explore. *Being peak summer, not only are we sharing the city with the usual 8.6 million residents of London, but with a few million other tourists as well. About 10 million people visit this city every year – most of them during the months of July and August. Hence THE PEOPLE! 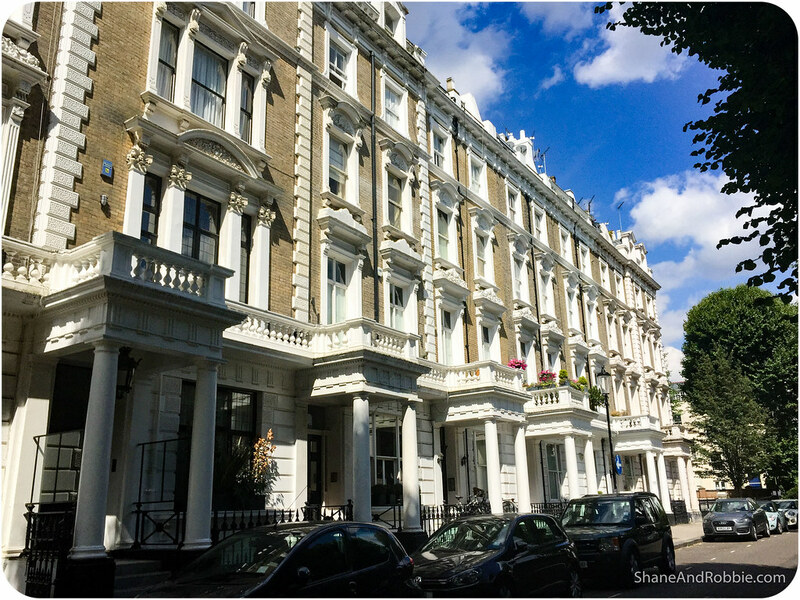 We’re staying in Bayswater, one of Western London’s most multicultural and cosmopolitan areas, packed full of hotels and serviced apartments. We chose this area as our home base as it’s close to lots of public transport links and there are heaps of restaurants and shops nearby. It’s also quite a pretty neighbourhood, with lots of Victorian stucco terraces (mostly now subdivided into apartments or turned into hotels). 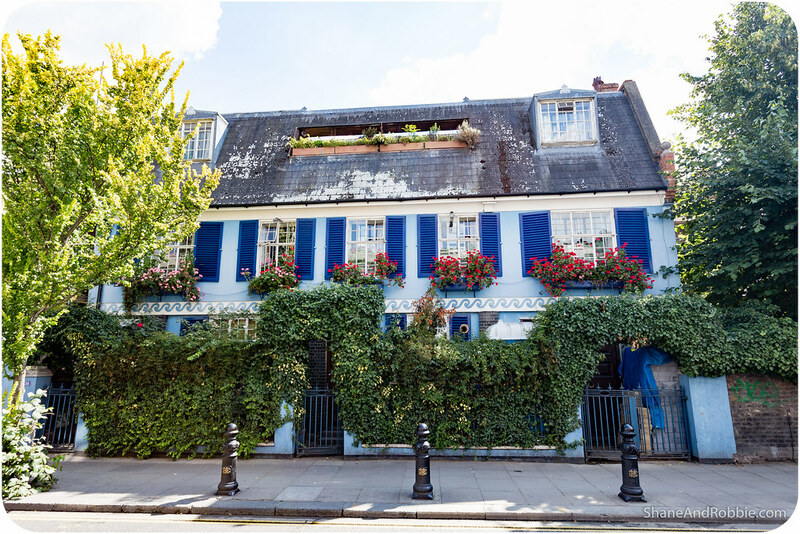 Not far from Bayswater is Notting Hill, one of London’s leafier suburbs made famous by the 1999 film of the same name, its annual Caribbean flavoured street festival, and the weekly Portobello street markets. 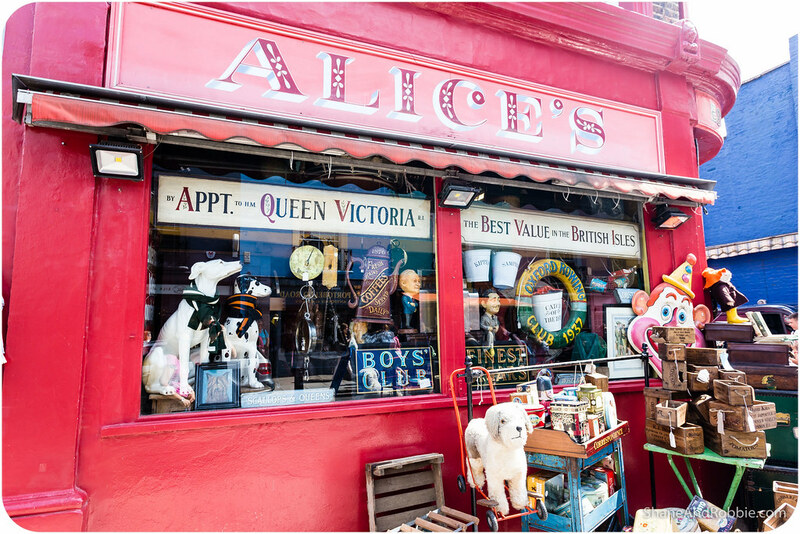 Since it was first developed in the 1820s, Notting Hill has had an association with artists and “alternative” culture. During the second half of the 20th century, however, it became quite a run-down neighbourhood, with many of the large Victorian townhouses subdivided into cheap multi-occupancy rentals. Attracted by the cheap rents, a large number of Caribbean immigrants were drawn to the area (which is how the Notting Hill Festival got started). 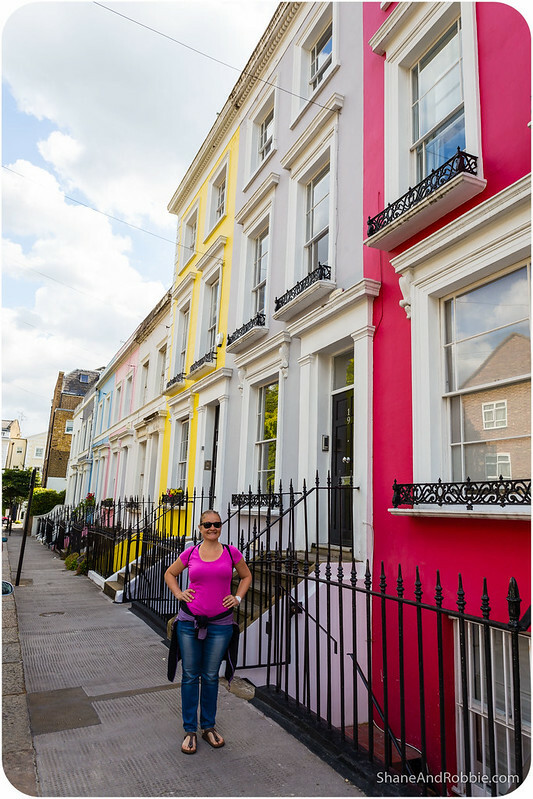 As has happened all over the world, however, population growth and escalating house prices meant that Notting Hill gradually became more popular with working professionals and young families. The area underwent gentrification in the 1990s and is now has a reputation as an affluent and fashionable area; known for attractive terraces of large Victorian townhouses, and high-end shopping and restaurants. 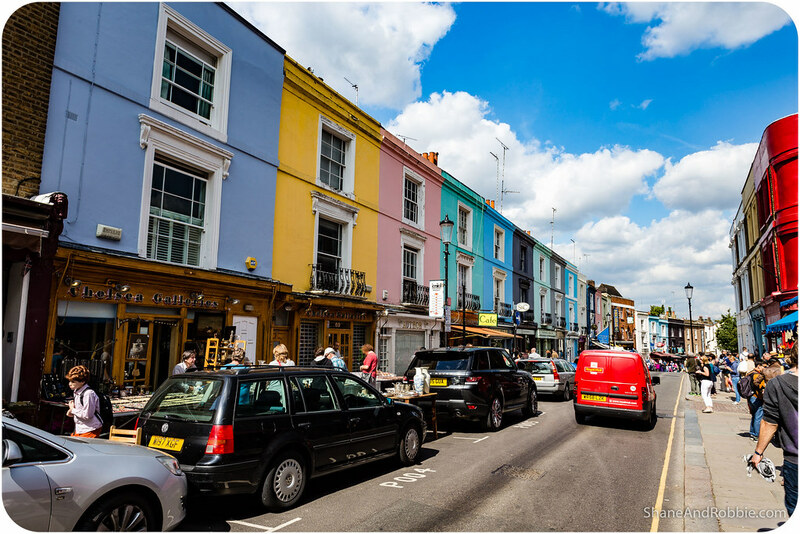 Strolling its streets today, we certainly got the impression that Notting Hill is a trendy, funky, multicultural, and pretty place. 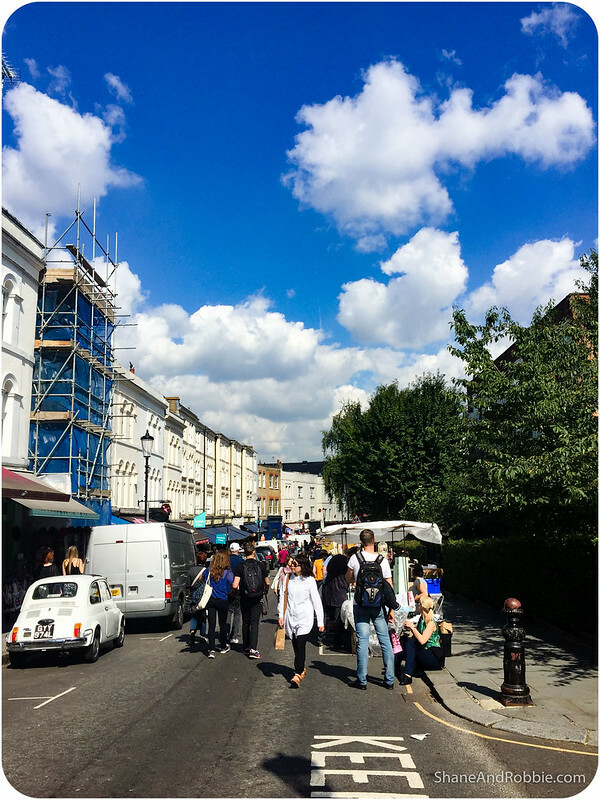 One of Notting Hill’s main attractions (and one of the main reasons we wanted to take a look), is the Portobello Markets. 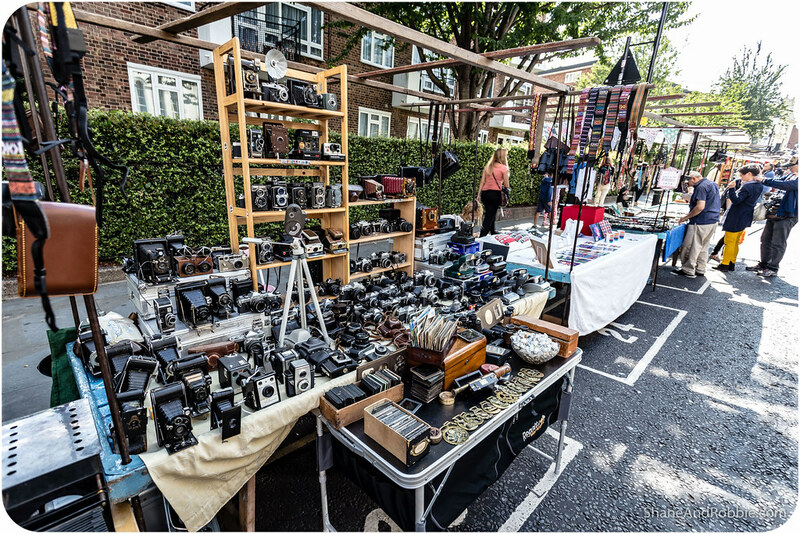 These one of London’s notable street markets, known for its second-hand clothes and antiques. 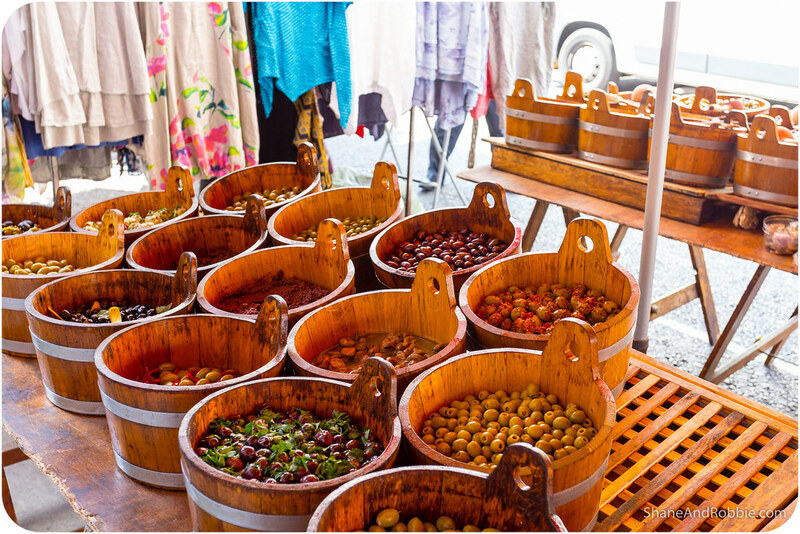 The busiest day at the market is Saturday, but there are stalls there on Wednesdays, Thursdays and Fridays as well. 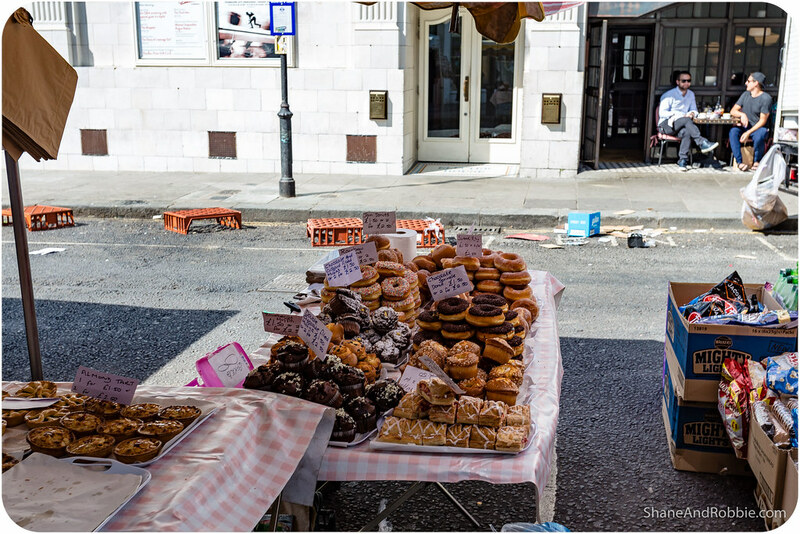 We spent an hour or so walking the length of Portobello Road and back down again, checking out the various stalls. 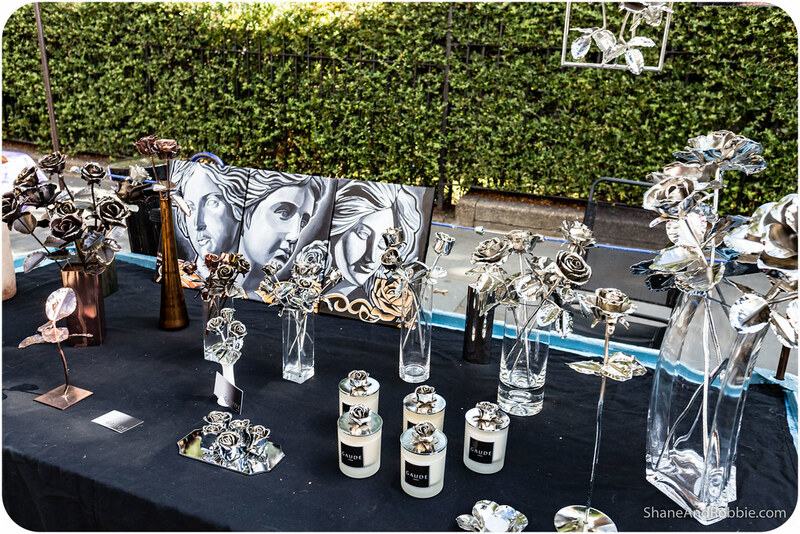 There were all sorts of things on sale, from home made organic bread, to fresh fruits and vegetables, bespoke fashions, jewellery, and a whole variety of antiques and second-hand goods. The vibe all along the street was great; it was busy but not chaotic, and lots of people were stopping to chat while they shopped and browsed. It was all so nice that we just had to stop for a coffee along the way to sit and soak it all in. From Notting Hill our wanderings took us into Kensington, one of London’s most exclusive districts. 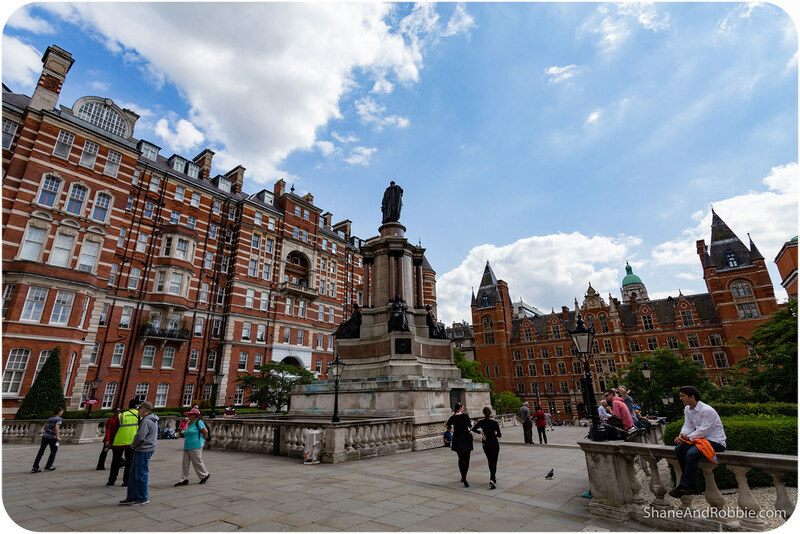 The area is home to many of London’s embassies, a palace, some public green space, and quite a few theatres and museums. With its wide, tree-lined streets, and beautiful old buildings, Kensington was quite obviously a tad more affluent than Notting Hill and Bayswater (the number of Rolls Royces, Mercedes, Porsches, Jags, and Ferraris driving around kind of gave it away as well; as did the number of women with just a bit too much Botox, silicon, and collagen going on). 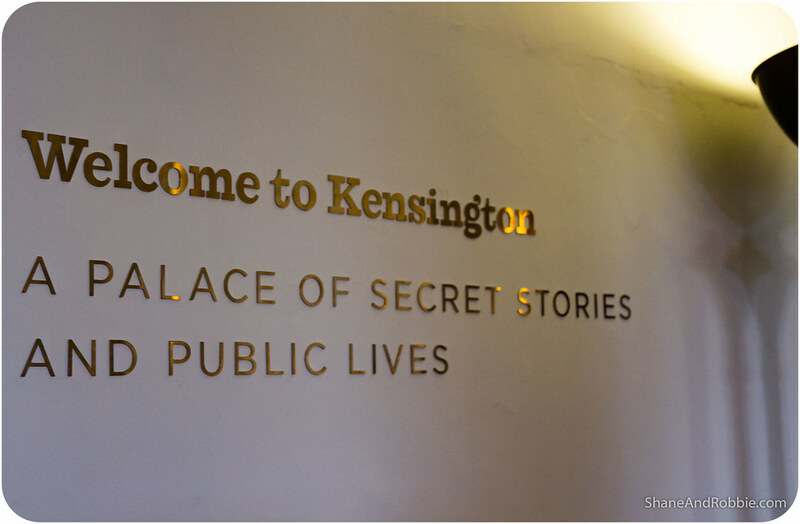 Our main reason for stopping in to Kensington was to visit Kensington palace, one of London’s 3 royal residences (the others being Buckingham Palace and St James Palace). Set in the midst of some lovely gardens, the palace is actually quite a plain looking building. 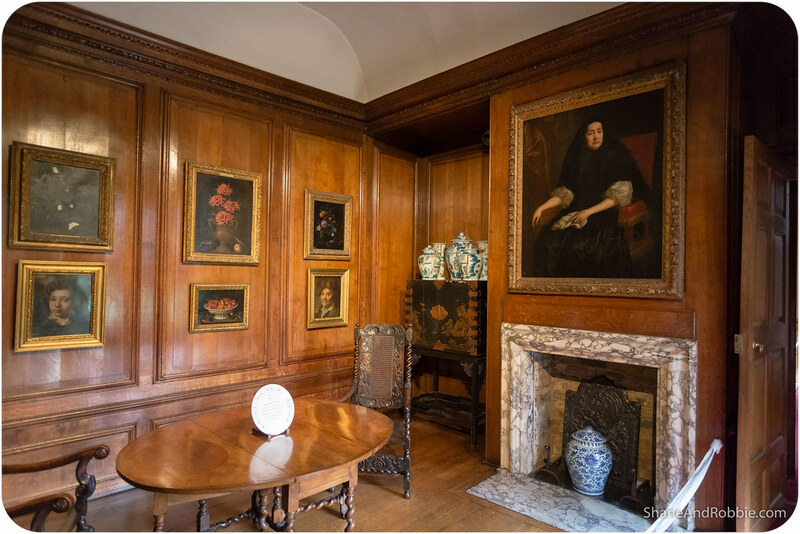 It was originally built in 1605 in the small village of Kensington (which was, at the time, OUTSIDE the city of London!) by a member of the local gentry. 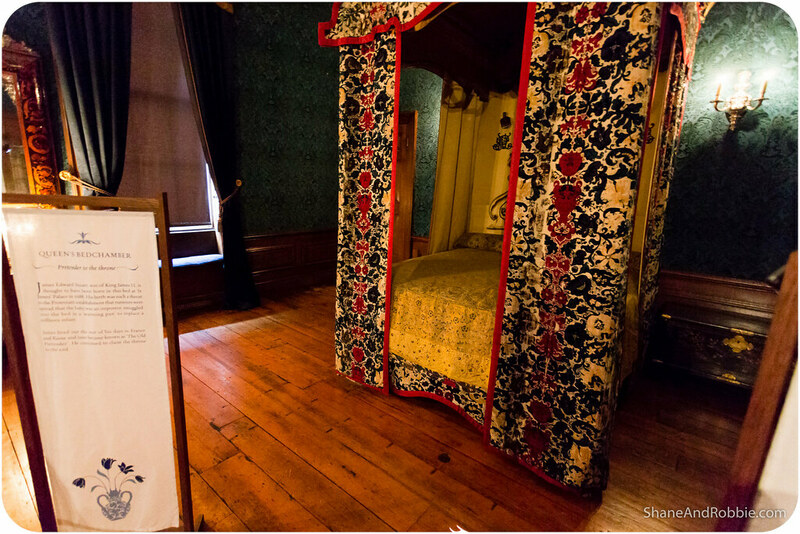 In 1689, however, it was bought by the then King and Queen, William and Mary, and has been a royal residence ever since. 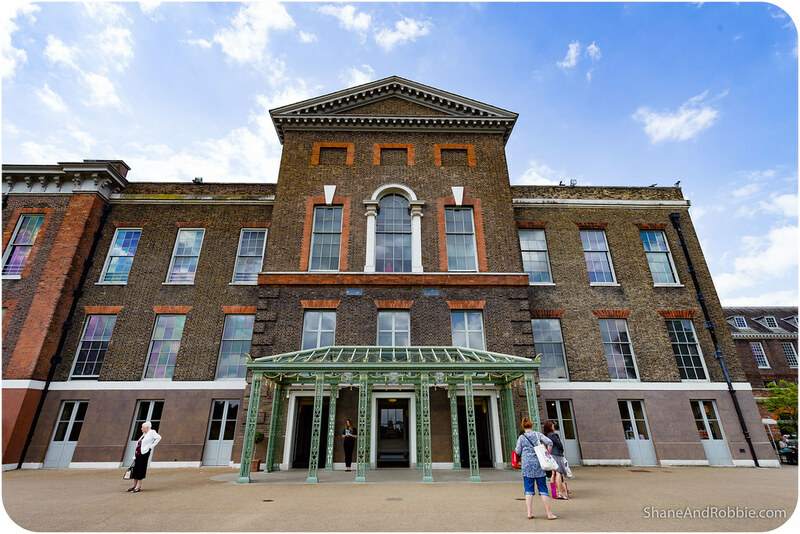 Kensington Palace is currently the official London residence of the Prince Harry, and the Duke and Duchess of Cambridge and their family (i.e. William, Kate and their l’il uns). 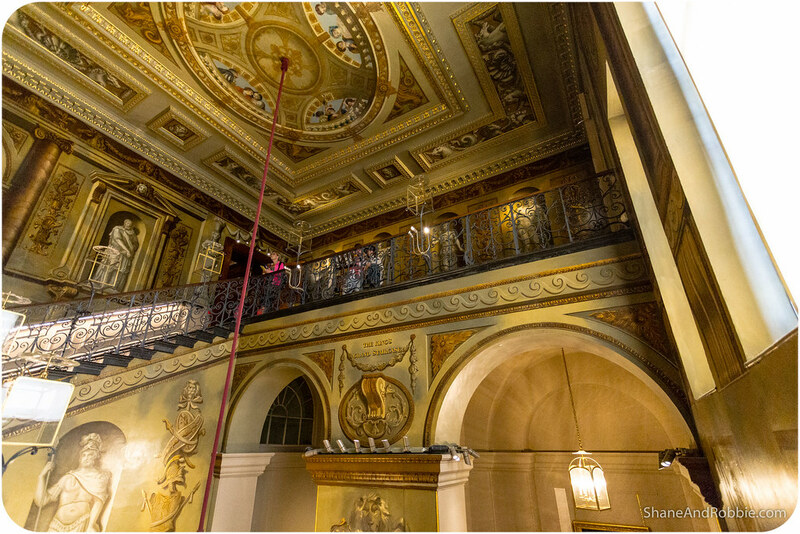 Part of the palace is open to the public and showcases how the royals would have lived over the centuries. 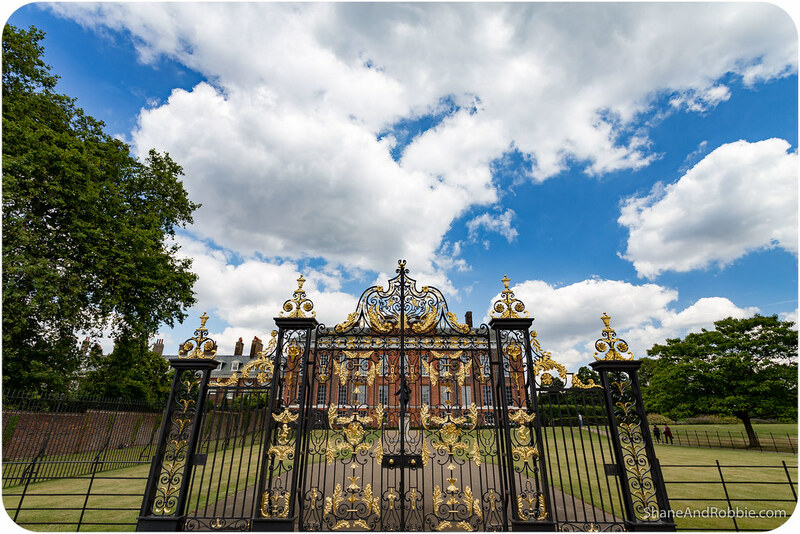 Perhaps the best known “face” of Kensington Palace, however, are its golden gates which, in 1997, became the focus of public mourning after Princess Diana’s untimely death. It was here that people left a million bouquets of flowers because this was where Diana and Charles lived after their marriage in 1981. Kensington Palace remained the official residence of Princess Di after their divorce and it there that Princes William and Harry were raised. 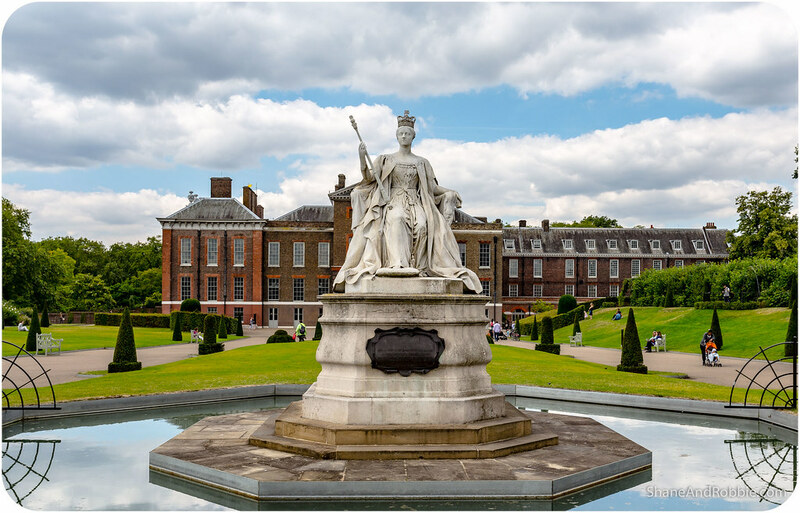 Surrounding the palace are Kensington Gardens, once the private gardens of Kensington Palace and now public green space*. These 270 acre gardens were lovely, especially given the sunny weather. 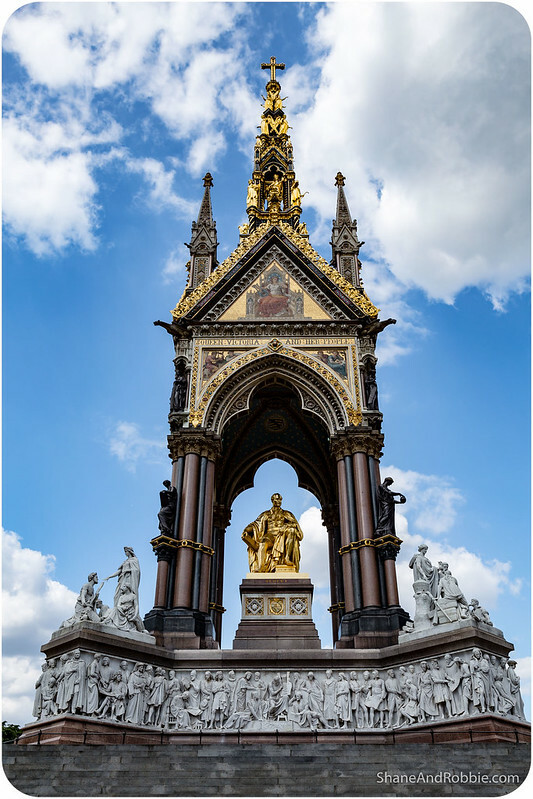 *Kensington Gardens, Hyde Park, Green Park and St James’s Park together form an almost continuous “green lung” in the heart of London. We strolled through the gardens until we got to Kensington Rd and the “museum and arts district” of Kensington. 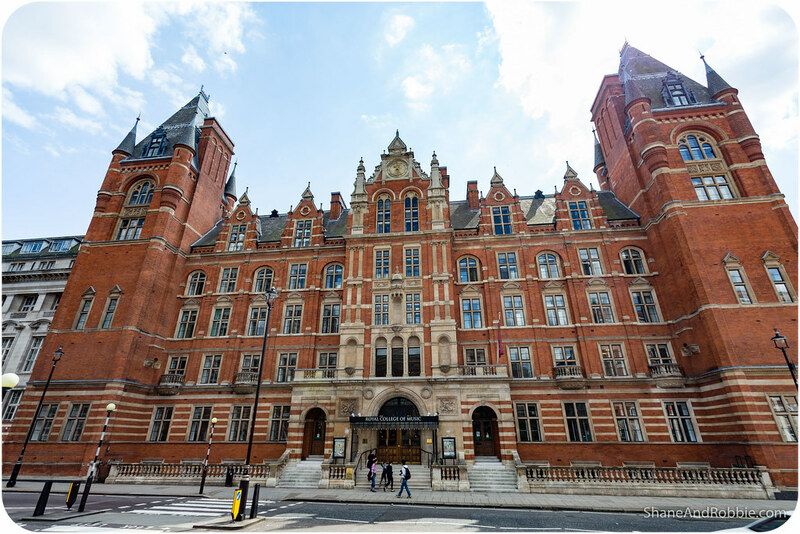 Here museums like the British Museum of Natural History sit alongside arts centres like the Royal College of Music and Royal Albert Hall. Here too we came across the Frieze of Parnassus, a large sculpture constructed in the 1860s in memory of Prince Albert (Queen Victoria’s beloved husband). So much history and culture! As much as we wanted to visit some of these museums, we were pretty tired by this stage and decided to save those visits for another day. Instead we bought a couple of Oyster Cards (London’s public transport electronic travel cards) and braved the London Tube for the first time. Opened in 1863, the London underground railway is the oldest in the world and one of the busiest too – not as busy as Tokyo, Beijing, Seoul, Moscow, or Hong Kong (all of which we’ve managed to successfully navigate), but still a bit daunting! 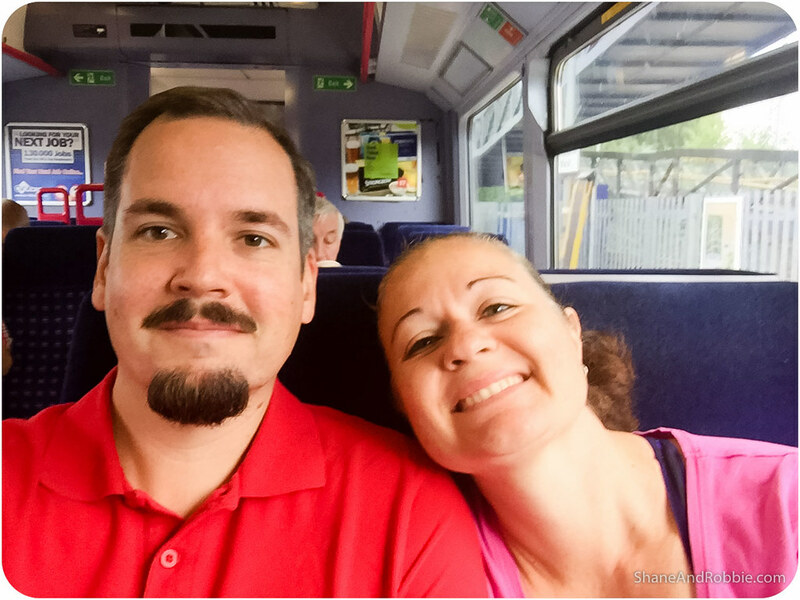 As it turns out we survived our first Tube ride and our first day in London and are quite excited about venturing a little further abroad tomorrow to see some of the city’s big sights. 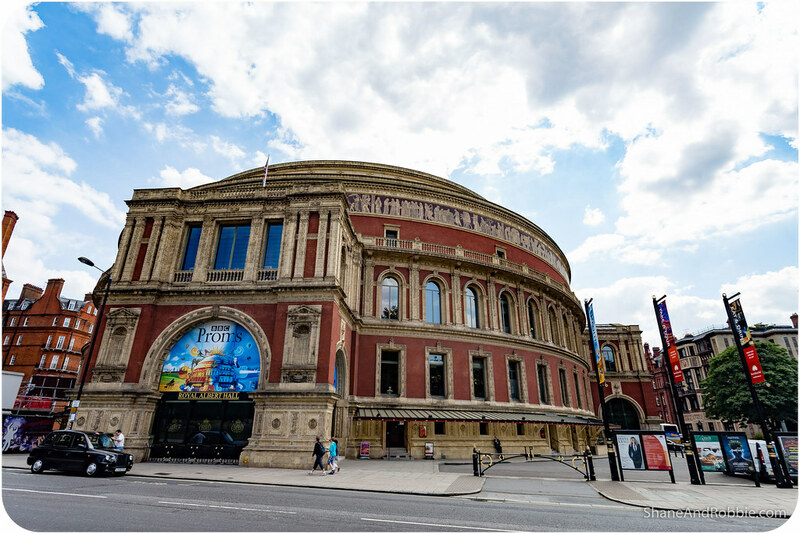 The Tower of London, Kew Gardens, the Palace of Westminster, Westminster Abbey, Buckingham Palace, the London Eye, Piccadilly Circus, St Paul’s Cathedral, the Tower Bridge, Trafalgar Square, the British Museum, the National Gallery, British Museum of Natural History, the Tate Museum of Modern Art…. Where to start? !